Reception Counter for doctors surgery This desk is one of our custom made designs. 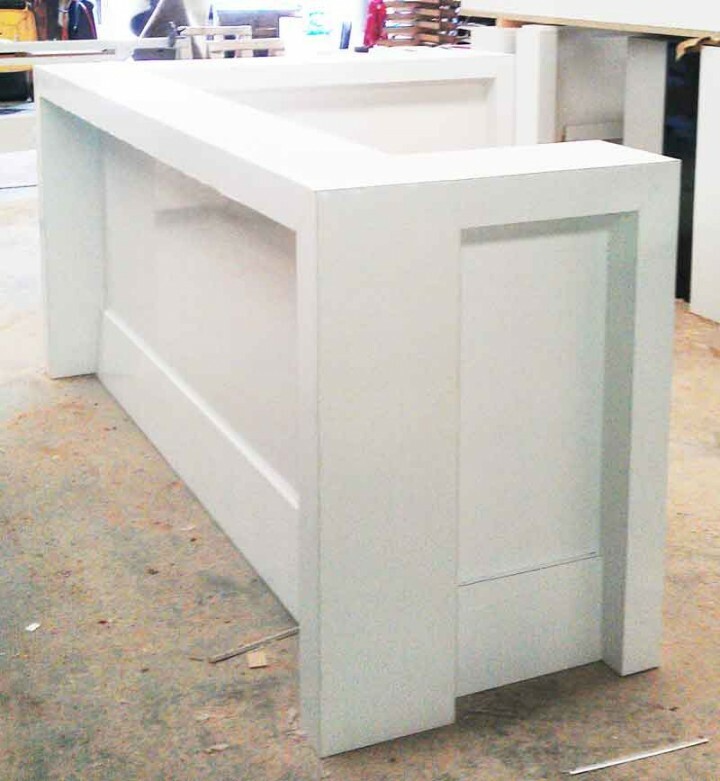 We designed the counter with insets white gloss laminate with return on two sides We prefabricated the counter and set it up for our pre-delivery. We then sent it to Melbourne by furniture removalist. Led Electrical Supplies was revamping their warehouse and showroom. 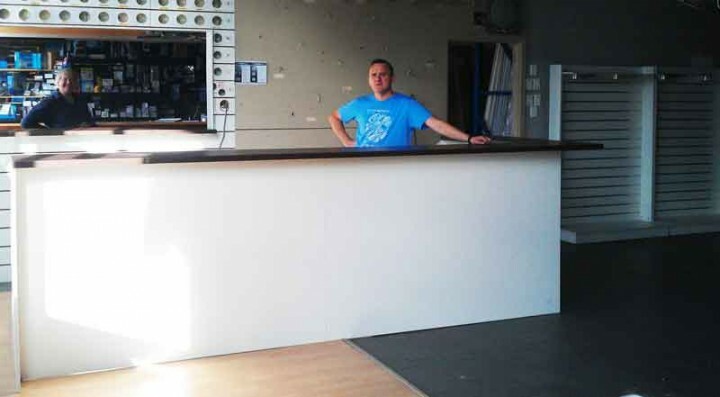 MaiF Shopfitting was asked to supply their new reception counter. All went according to plan and they were up and running in no time. Contact Led Electrical Granville. Led Electrical supplies Pty Ltd. 1/262 Parramatta Road. Granville NSW 2142. PH: 02 96826543 Fax: 02 9682 7331. Led Electrical supplies supplies to the trade and wholesalers. Their products include, Switch boards. Cables. Switches. relays. Tesla products. conduit. To name a few. Led electrical Supplies are always happy to supply regional and interstate wholesalers.